Snakes are known to be represent transmutation, life, death, rebirth and superstition. Zuni snake fetish carvings are carved relatively frequently, in various materials and with varying degrees of detail. 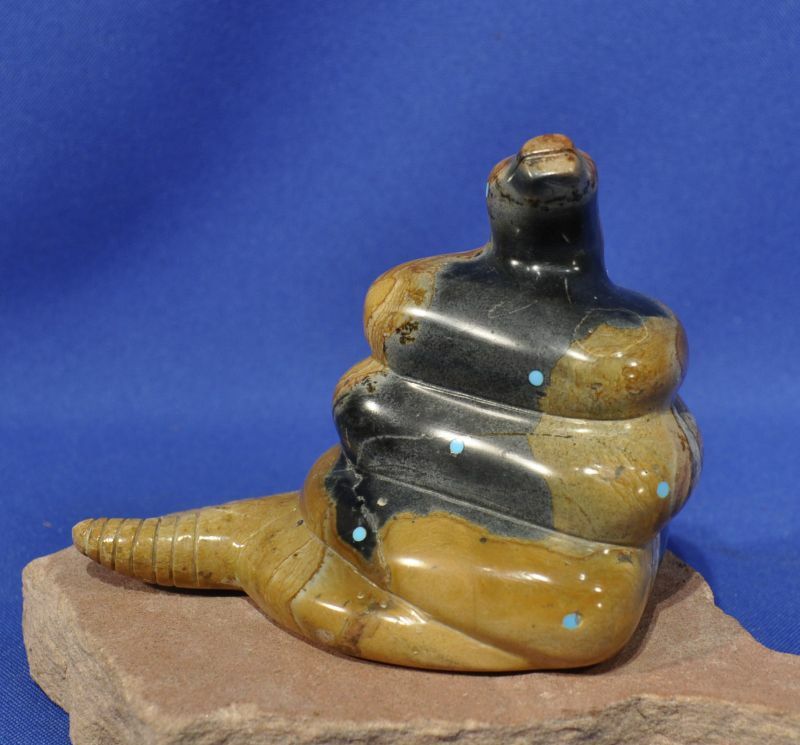 We carry a great selection of Zuni snake fetish carvings. Available fetishes can be viewed and ordered via our Online Catalog here.